How Does PCOS Change Through a Woman's Life? How Does Polycystic Ovary Syndrome Change Through a Woman's Life? While researchers are not certain of the exact cause of polycystic ovary syndrome (PCOS), it is believed to have a genetic link and tends to run in families. Once believed to be just a reproductive condition in women of childbearing ages that can cause infertility and immature follicles referred to as “cysts”, PCOS is now known to affect the majority of a woman’s lifecycle. This article discusses how PCOS changes through a woman's lifecycle. Can a Child Be Diagnosed with Polycystic Ovary Syndrome? Assuming that we are referring to a child as a young girl who has not reached puberty yet, it is unlikely that a diagnosis of polycystic ovary syndrome is appropriate. In most situations, girls who have not reached menarche yet would not experience the symptoms typical of PCOS, including irregular periods, the presence of immature follicles, abnormal hair growth, and elevated androgens. Ideally, PCOS should be diagnosed as early as possible to prevent worsening or the onset of metabolic conditions such as insulin resistance and dyslipidemia and infertility. Unfortunately, PCOS is widely overlooked in adolescence because many of the signs and symptoms overlap with normal puberty concerns such as acne and irregular menses. One of the earliest signs that a young girl has PCOS is early puberty. Other signs of PCOS in young women include acne and hair growth in the central part of the body (between breasts, belly button, and inner thighs). These symptoms can indicate higher levels of testosterone. Weight gain tends to occur during puberty. Adolescence is a stage of growth with higher levels of insulin during this time. In young girls with PCOS who tend to have higher levels of insulin compared to girls without PCOS, this can contribute to excess weight gain in the abdominal area. How Does Polycystic Ovary Syndrome Change During Early Adulthood? PCOS is the most common endocrine disorder affecting women of child-bearing age. This is the stage in the lifecycle when most women are diagnosed with PCOS as they struggle with infertility, weight gain, and metabolic issues. It is common to hear a woman say she started taking birth control medication at an early age to regulate her periods only to come off it to get pregnant and discover her periods are still irregular. Lifestyle management of PCOS is important during early adulthood to ameliorate or prevent metabolic issues and restore ovulation. 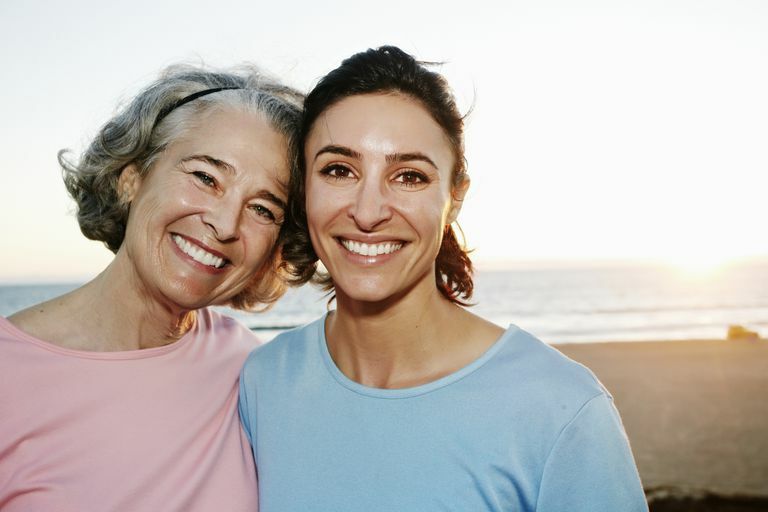 Does Polycystic Ovary Syndrome Improve After Menopause? It’s only recently that PCOS has been researched in women beyond the reproductive age. As women with PCOS get older, testosterone levels naturally decline as they do in women without PCOS. Falling testosterone levels can result in more menstrual regularity and possibly better ovulation. Research is indicating that life-long exposure to elevated androgen levels, like testosterone, can contribute to hair loss. Elevated insulin levels as seen in women with PCOS who are insulin resistant, can contribute to chronic health conditions if not managed. These health conditions include a higher risk of developing type 2 diabetes and cardiovascular disease which is why early detection and treatment of PCOS is important. Does PCOS Cause High Cholesterol?